Welcome! I’m so excited to begin this adventure with you! This site has been in the works for months and is truly a labor of love. I’m a DIY girl and I was determined that I would launch my very first coaching site myself. Not because there’s shame in asking for or paying for help, but because I wanted to touch EVERY.SINGLE.PART. of the process the first time out. I wanted to know it from the inside out. I wanted my site to be a part of me. And it is and I’m thrilled!! 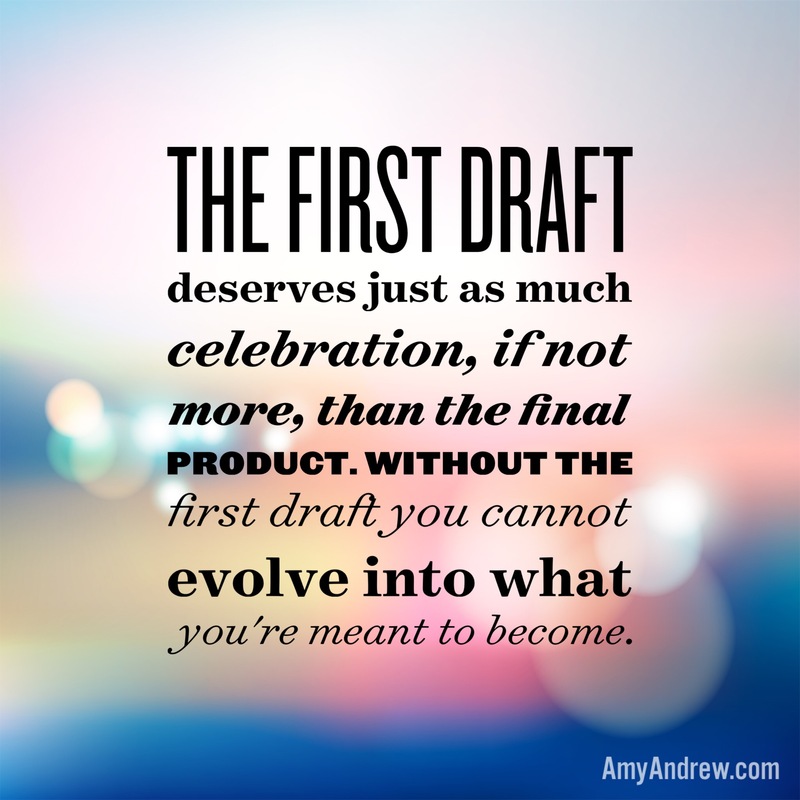 The first draft deserves just as much celebration, if not more, than the final product. Without the first draft you cannot evolve into what you’re meant to become. It’s easy to get caught up in the idea that you go from start to finish without all the work in the middle. When you start a project you often envision what you want the end result to be and then you stumble when it comes to figuring out how to get from here to there. You want to go straight to “finished,” or… perfection. That’s a huge chasm to cross. The sheer size of it often prevents us from taking meaningful action. Meaningful action starts with messy. And action is worth celebrating! Through my web design and copywriting efforts the lesson of first drafts and evolution really sunk in. I’m not proud of my site because it’s finished or perfect or even all that close to my end-goal; I am proud of my site because it’s a starting place that will allow me to evolve and to take that next little step towards better. And then the next and the next. It’s real now, and this is happening! What first step can you take now that will be absolutely imperfect and will move you a tiny bit closer to your goal? Take it. Be messy. Show up and put yourself out there. And I’ll be here to cheer you on!